Tunisia Midoun hotels. - Hotel videos, user reviews, cheap booking! Showing 1 - 10 of 15 best hotels. | Sorted by rating. This hotel is on the Midoun/Houmt Souk route, just 1.5 miles from Midoun, across from the famous Mosquée Musée Fadhloun. It features an outdoor pool and free Wi-Fi access. Amphora Menzel is 2.5 miles from the center of the city of Midoun, close to the beach on Djerba Island. It offers 6 air conditioned villas with kitchenettes and private balconies. On the island of Djerba, this 5-star hotel is a stone’s throw from the beach and features a spa center. Located in Midoun, this 4-star resort features 2 swimming pools and provides direct access to the beach. It offers tennis and racquetball courts and a luxury spa with sauna and hammam. 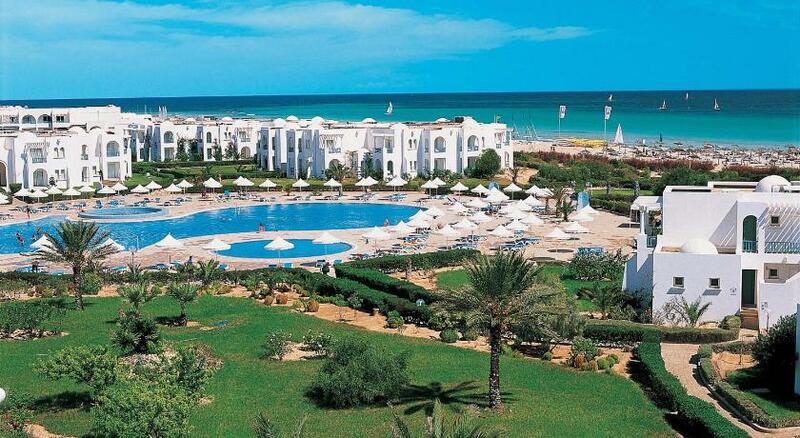 This all-inclusive Sentido hotel sits on Tunisia’s Djerba Beach, 3 miles from the center of Midoun. It features 2 swimming pools, a beauty salon and a spa center with a hammam. This Club Caribbean is located on the west coast of Djerba Island. It has 2 swimming pools, a sauna and air-conditioned rooms with satellite TV and a balcony. This all-inclusive Vincci Hotel is on the western cost of Djerba Island, in southern Tunisian. It has a large outdoor swimming pool, a sunbathing terrace and a beach-side bar. 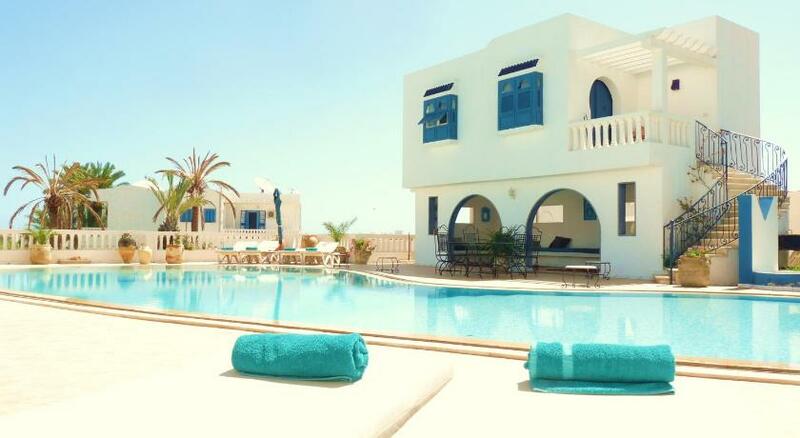 The all-inclusive Cedriana sits on the north coast of Djerba, 330 yards from the beach. It has a semi-Olympic outdoor swimming pool and an indoor swimming pool. Located in Djerba’s main tourist zone, just a 5-minute walk from the beach, Menzel Dija features a large outdoor swimming pool. It offers air-conditioned apartments with private grounds or terraces. 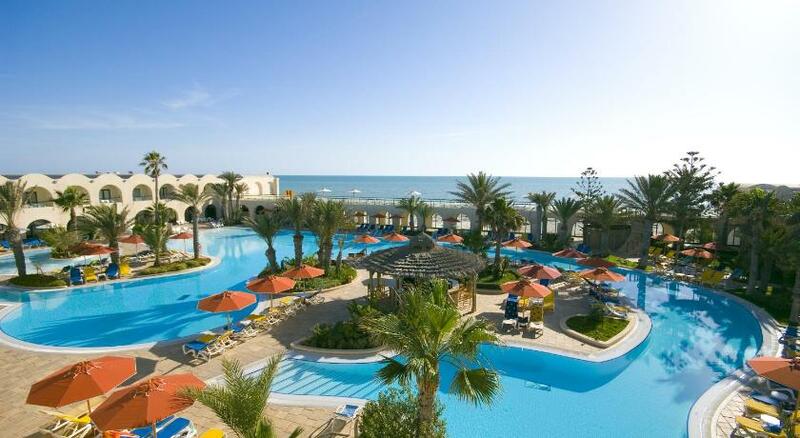 In Djerba, 3.5 miles from Midoun, this luxurious, all-inclusive resort sits on the beach. It features a swimming pool, a tennis court and a fitness center.